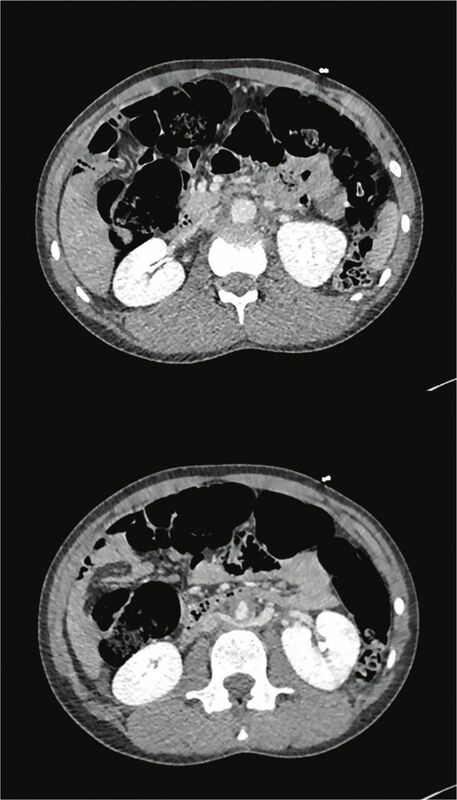 A previously well 15-year-old boy presented to the emergency department with sudden-onset severe back pain and inability to weight bear. Preceding this event, he stretched out in bed and felt a click in his back. On examination, he was alert and interactive with normal vital signs. Neurological examination of the lower limbs demonstrated bilateral hypotonia and reduced power to 2/5 proximally and distally, absent reflexes, sensory level at L2 with paraesthesia (pins and needles) and dysaesthesia bilaterally. Upper limbs, cranial nerves and general examination were unremarkable. His condition progressed with worsening lower limb weakness and urinary retention, without any respiratory compromise. List three differential diagnoses for acute flaccid paralysis. An MRI of the spine was normal. On further assessment, the patient was noticed to have pale legs with prolonged capillary refill. The right posterior tibialis pulse was thready, and the left posterior tibialis and dorsalis pedis pulses were absent bilaterally. A CT angiogram (figures 1 and 2) was performed. Based on the abnormalities demonstrated by this imaging, what is the most likely diagnosis? During subsequent surgery, the aorta was noticed to be very fragile and have tissue paper consistency. More in-depth questioning revealed a history of inguinal hernia repair at 2, features of hypermobility and easy bruising. Genetic tests showed a mutation in the COL3A1 gene that encodes for type III collagen. What is the underlying diagnosis? CT angiogram: two axial sections at L1 and L2 level. CT angiogram: midline sagittal section. Questions Answers can be found on page 2. Contributors FS drafted the article; SS, JC, MC and DK critically revised the article.